Well it’s busy season for A, and I have been a little busy myself. So A and I decided to make a wish list for this year. We have a million places we want to visit and needed a little help to get organized. Georgia has a ton of other places I think everyone should go see. We want to go to all of them eventually. Here is the 10 places on our wish list for 2015. They are in no order, and subject to change (tomorrow- and then change back- I want to see everything and can’t pick just 10). 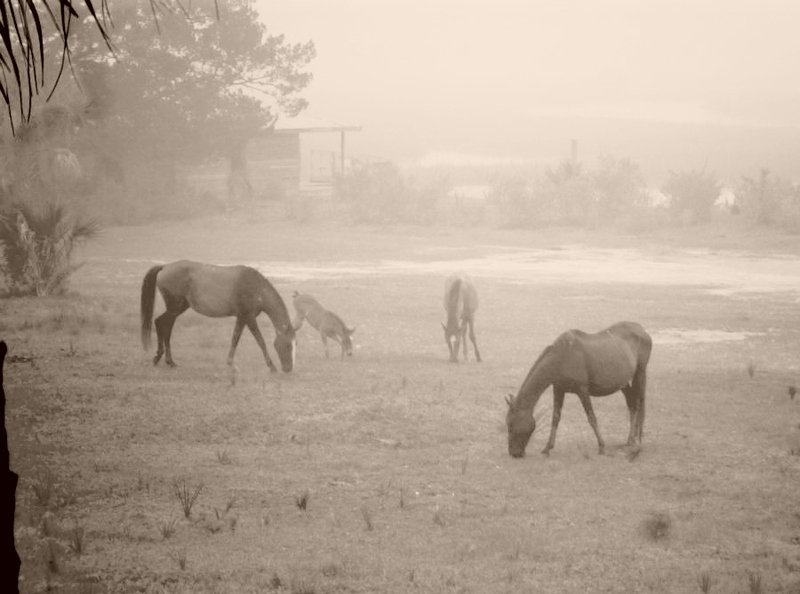 A lot of things have drawn me to Cumberland Island. First, the horses. Wild horses! Really? Who doesn’t want to see that. If you say you don’t you are lying. Second, the history is amazing. Research it. There really is a little bit for EVERYONE! I promise you will find some part interesting and if you don’t someone needs to check your pulse. Third, the ruins. It’s what I love. It’s part of the history that you can still see and touch. 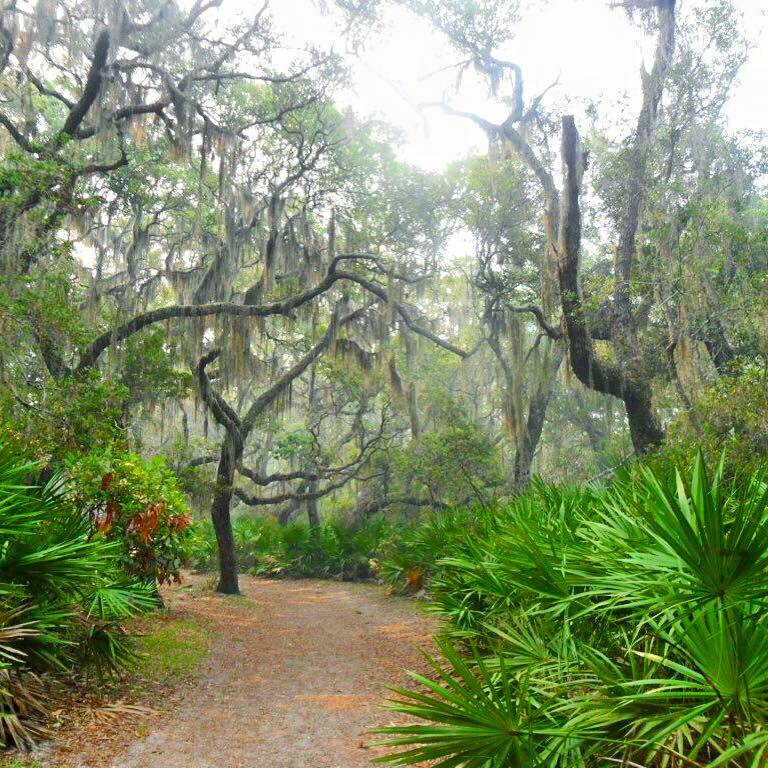 There is one way to get to Cumberland Island. Boat. That’s it. Either the ferry, charter boat, or a private boat. Your choice, but still a boat. Can’t we just call it Providence Canyon State Park? In fact I’m almost positive that people do. I do at least, and will continue to. It just sounds better. 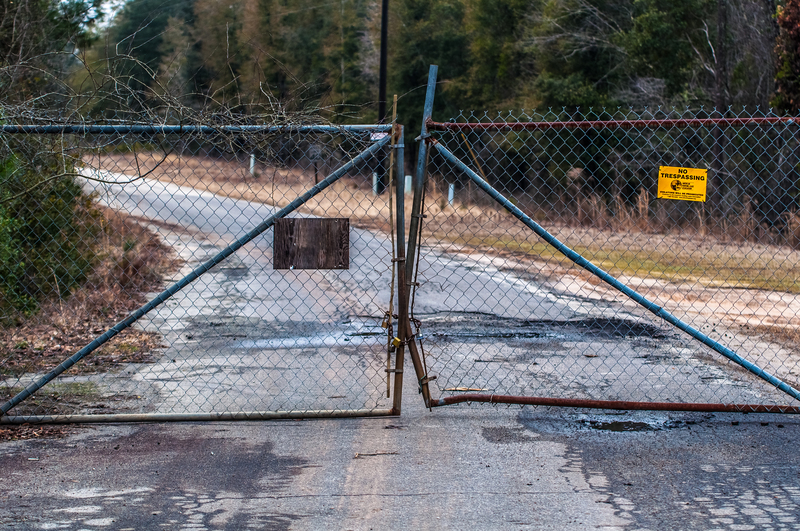 Located in Irwin county, Crystal Lake is no longer open to the public. If you read our previous post you know we didn’t make it in. We still have high hopes that we will be granted permission to explore soon. source: https://www.flickr.com/photos/cliffdix I tried to find some updated pictures to post, but I couldn’t find any that weren’t copyrighted! Crystal Lake has a long interesting history. Everything from being haunted to people believing the lake was bottomless. Most recently Crystal Lake was a vacation spot/water park that operated from 1930-1998. We made it to the gate… Just need to make it in! Central State Hospital, located in Milledgeville, was (is) the states largest facility for mental illness and developmental disabilities. It opened in 1842 and closed in 2010. More specifically, we want to visit the Walker Building. It was built in 1884 and abandoned in 1974. The images of the Walker Building are some of the creepiest and strangely beautiful pictures. Like Crystal Lake, Cental State is also closed to the public (unless you like to break the law… Which I do not and do not advise). Even though I know they don’t let people inside, I am a dreamer. I feel like one day they will see A’s pictures, think they are amazing (because they are), will decide to let her in, and I will tag along on her coattails (like I do now). There isn’t any way to research this place. You just have to know someone that knows someone… Or be a photographer. 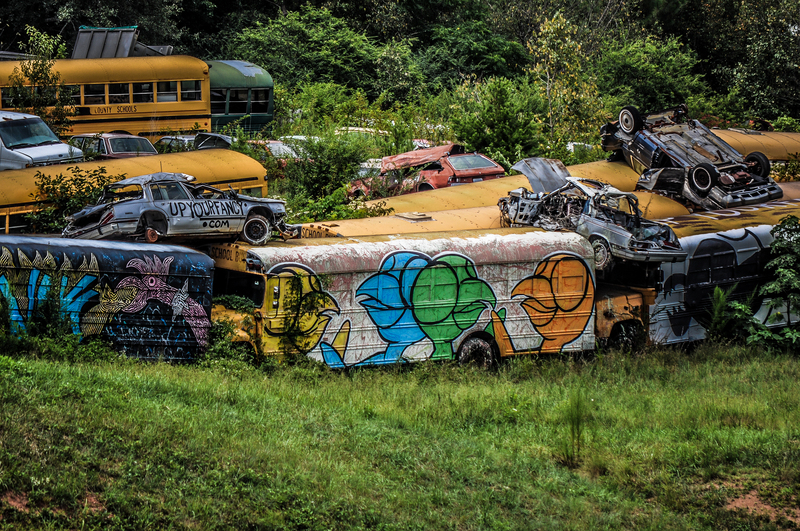 Nicknamed the school bus graveyard, it’s really just a junkyard on the outskirts of Alto, GA. Some pretty amazing pictures have come out of this place. A has been here once, but only from across the highway…sketchy, sketchy. Completed on May 7, 1850, this was the first major railroad tunnel completed in the south. Built as part of the Western and Atlantic Railroad, the tunnel is 1447 feet. The tunnel is no longer in use as a railroad but is open to the public to walk through. This is unique part of Georgia’s history and would be an interesting place to visit. Located in Statesboro, The Harville House was built in 1894. Legend has that this house is haunted, and people see a bright blue light in one of the windows. The house/family have a long history in the state of Georgia and its a pretty neat read. I would suggest looking up the history (if you like that sort of thing- which I do). Located in Floyd State Park, the Marble Mine Trail is one place I’m not so sure about. It looks like an amazing place from the pictures, but all of the pictures look the same. The entrance to the mine has been developed, but the mine itself has not. It is at least a 1.6 mile hike in and out. Someone go and tell me if it is worth it? Another place that can only be reached by boat, though this time not a ferry boat. The lighthouse has not been used as a lighthouse since 1909, but in 2007 was relit for historical reasons. A and I have both been near the lighthouse numberous time, but have never actually been to it. Anyone with a boat want to take us this year? Also known as the Taylor Memorial Hospital, the hospital opened in 1937 and closed in 1977. Said to be haunted, ghost hunters are sometime permitted inside to collect evidence. Now if they would just open their doors to a blogger and a photographer. If you ask A her list may be a little different. Like I said earlier, my list may be a little different tomorrow. Georgia has a ton of amazing place that I want visit eventually. Clearly all of my facts here are correct as I got them off the internet and the Internet never lies. So if I got something wrong please forgive me (and correct me)! Also, as we have not been to any of the places on this list yet we don’t have any pictues. Each picture has a link to the person/persons that took them. Take some time to check them out and thank them for allowing us to use their wonderful photos! A lot goes into taking these pictures (its more then just point and click)! All intriguing places to visit!! I live near the Marble Mine Trail, it is an ok hike but nothing worth driving hours to see, it’s really mostly a gravel rd that leads up to a little pond at the opening of the mine but you cannot tell it was even a mine, looks more like a rock overhand with some water dripping from it. It’s pretty but if you want more of a wow factor drive about an hour more north to see Cloudland Canyon! Also about an hour south is a neat small cave you can go inside easily without having to climb in Cave Spring, Ga. very cute town and you can drink from the spring, the water coming out of the spring is rainwater that fell over 75 years ago!